We all know as ladies that what we wear has to match including purses and handbags. If we had a choice we would have a bag for every outfit and every occasion. Here is the problem, who has that much room in their closet? I know many of us don't. I barely have enough room for my clothes let alone try to share the closet space. There’s a solution to have a purse for every outfit but not give up so much space!!! Miche has a new unique concept for handbags. You can change the look of the bag just by changing the exterior. 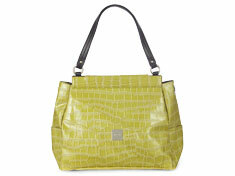 Miche offers different fashionable shells and accessories to customize your bag to whatever you like. When I first found out about Miche handbags, I just had to get my hands on one. I was impressed at how great the bag looks. What was even more impressing was how easy it was to change out the shells to change the look of the bag entirely. It is easy to create your own bag, just pick a base bag, put on a shell, and add some accessories. That's it! I found it refreshing not having to transfer stuff from purse to purse when I need to change bags. The bags are fashionable and saves a lot of closet space. 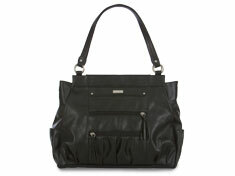 The Miche handbags are chic and affordable. I got the Farrah and Pat shell for my Prima base bag. I love the Farrah shell the best. The snake pattern and pleated detail on the bag looks great. So far I have had great comments on my Miche bag. 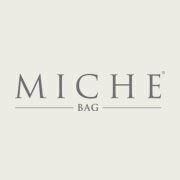 Want to get a Miche Bag for yourself? Here is your chance! Just enter below to win a Prima base bag, a Morgan Prima shell, and a Parker Prima shell. Health, Beauty, Children and Family is not responsible for the shipment of the prize. I love the hope shell! I would tie a a colorful scarf around the strap. I would add the chain handles and some bling! I heart Miche! I would add the Adjustable Long Strap (black). I love Miche. I would accessorize with a matching wallet. I absolutely love the hope charmer. Beautiful Bag! Love the ability to change the shell. thanks for the chance. I would use a charm dangle that my daughter and I made together or a scarf. But they are amazing without accessories! Thanks for the chance to win!!! I'd get the Hope Charmer to add to my bag!